I cannot remember when I made my first pie. But on the bright side I know it was when I was still in high school! My sous-chef dish-washing mom has made pie for as long as I can remember and I inherited her love of making anything pie! When granddaughter Abbey arrived for a visit we talked about the things she would like to do, making salsa, jam, and pie were all at the top of her list! 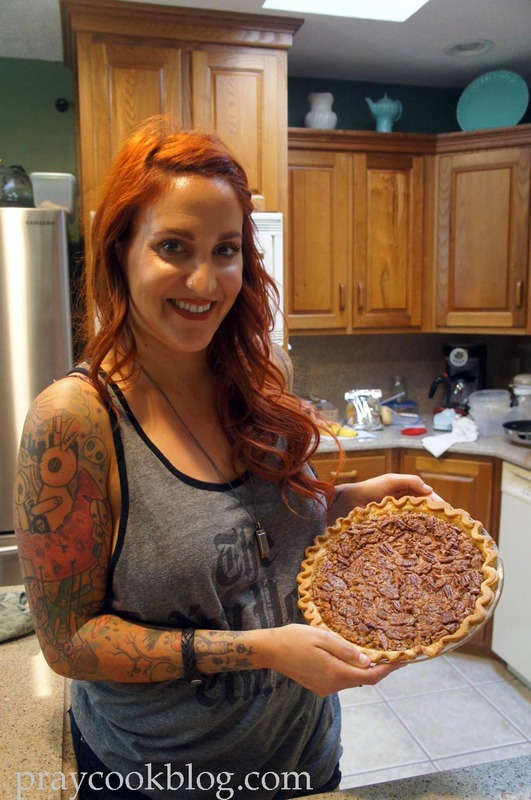 if she had ever made a pecan pie. 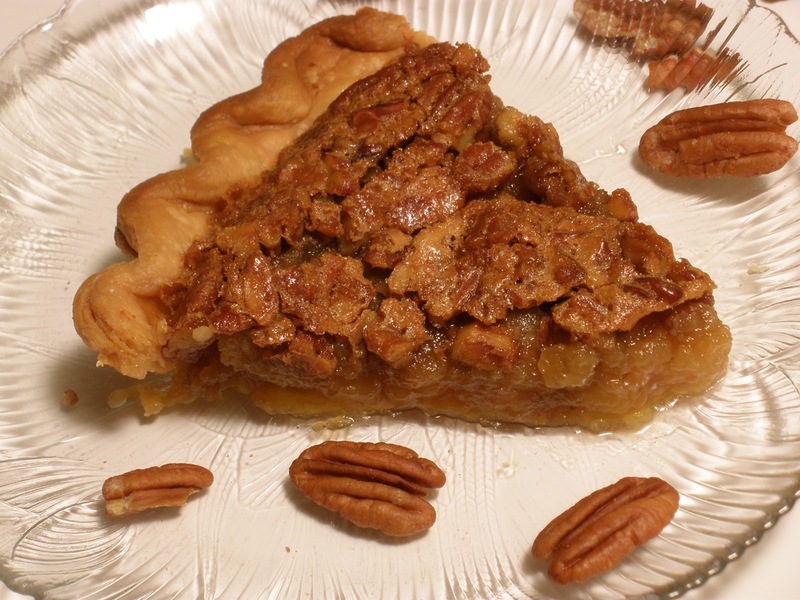 She said she hadn’t and since we had just returned from a tour of Jack Daniel’s distillery, just down the road, I suspected a pecan pie laced with Lynchburg’s hometown product was in our future! FYI — the alcohol cooks out and the flavor really enhances the sweetness of a custard pie like pecan. Praying your week is also filled with the joys of spending time with those you love. 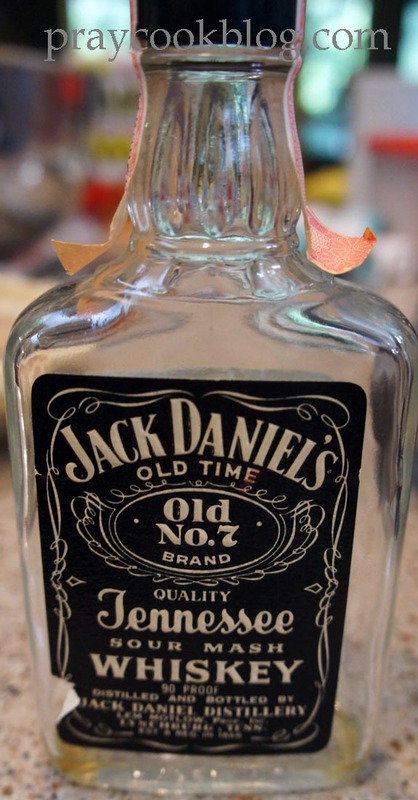 Cranking it up a bit with a splash of Lynchburg's hometown product! Lightly spray pie plate with canola oil. 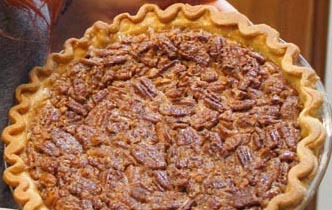 Line pie plate with pastry shell, flute edges and sprinkle with pecans. Cream butter and sugar until fluffy using a mixer or food processor. Add in next four ingredients mixing well. 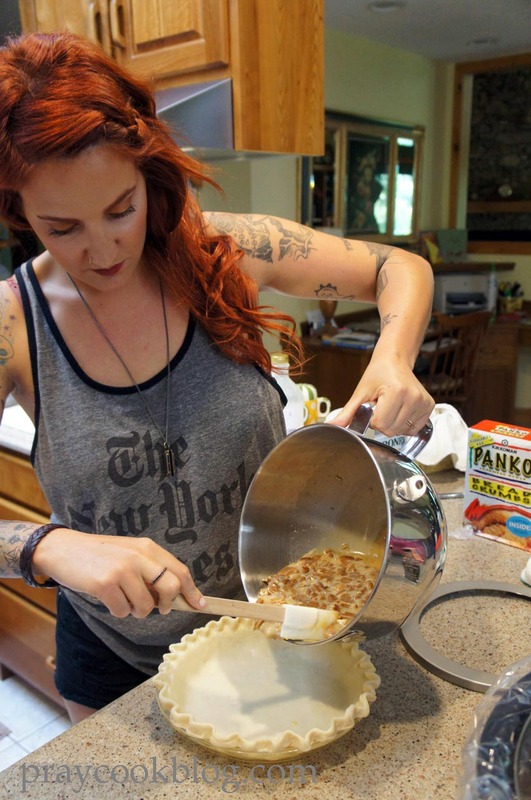 Cover outer pie crust with a pie ring or loosely with tin foil. Preheat oven to 375 degrees F. Bake 40 to 50 minutes, or longer if needed, until a tester inserted in the middle comes out clean. Serve warm or room temperature with whipped cream. (1) Pie will set slightly as it cools. (2) The pie ring or foil is necessary or the outer pie crust will brown too much during cooking. Sounds like the both of you had a wonderful time together! Now you have made me hungry. Looks so good!